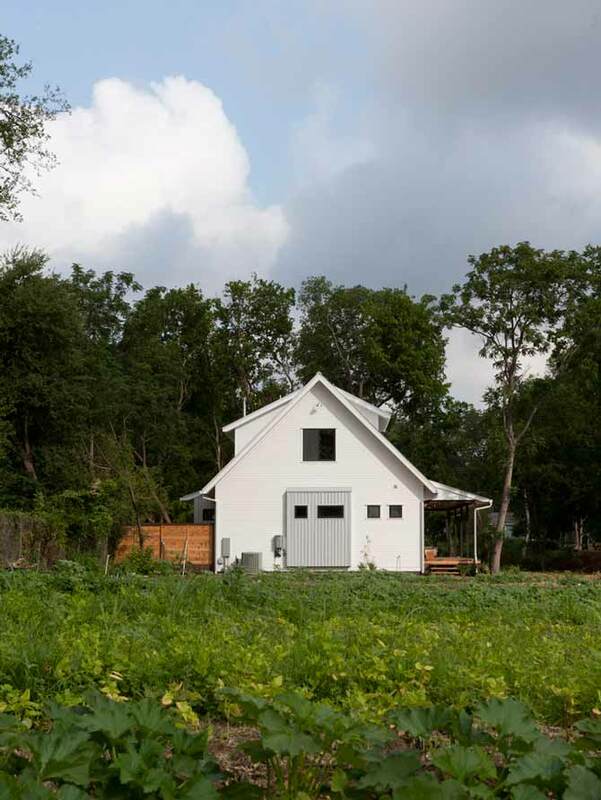 Some thoughts that come into mind upon hearing the term farmhouse are “it’s made out of wood”, “it’s simple and functional”, “it’s a wear and tear house”. 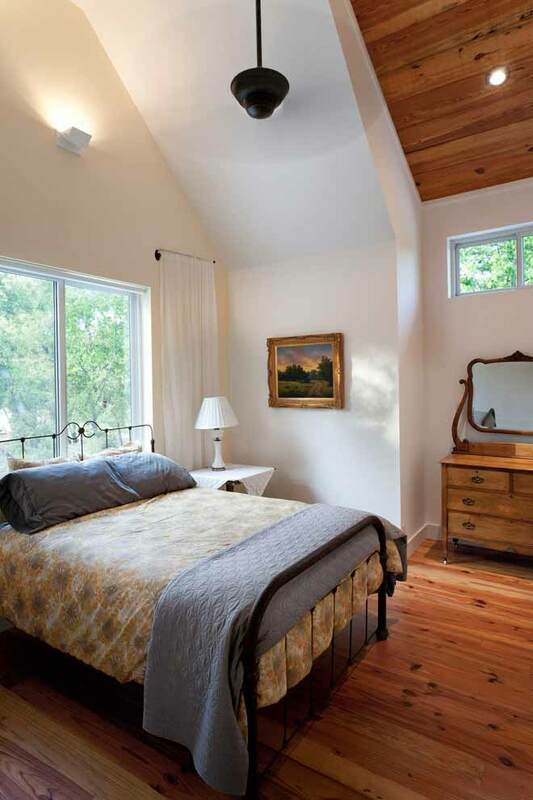 These thoughts may be correct if the farmhouse referred to was built in the olden times. 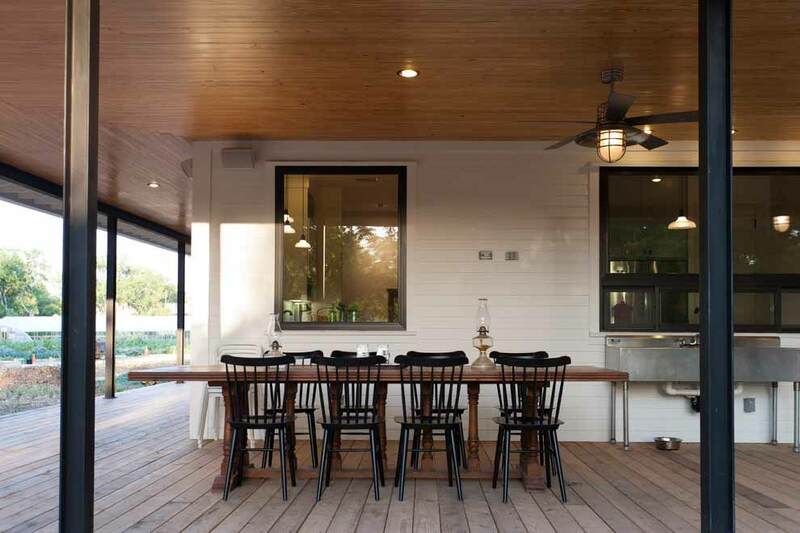 However, with technological advancement and freedom of creativity, a farmhouse is designed and built according to the way the owners imagined it to be– merging functionality to beauty. 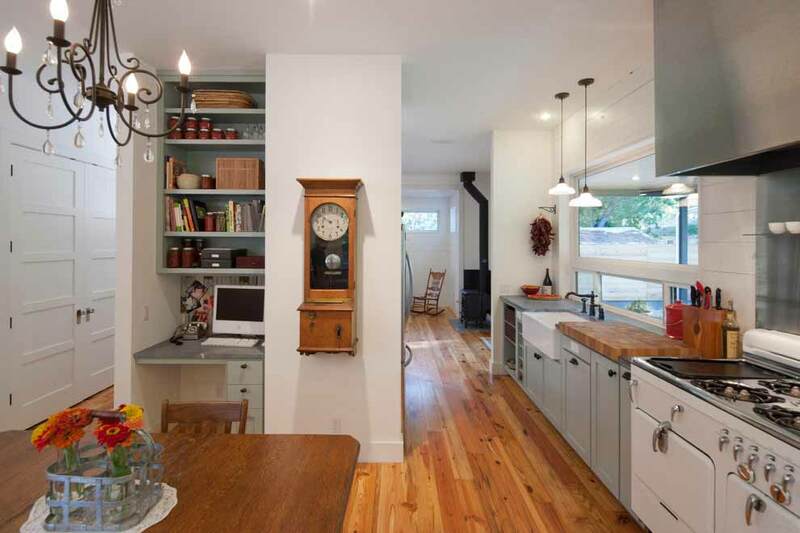 The pictures posted below show an example of a farmhouse that has merged functionality and beauty. Please note this home is posted due to inspiration reasons for your future home. 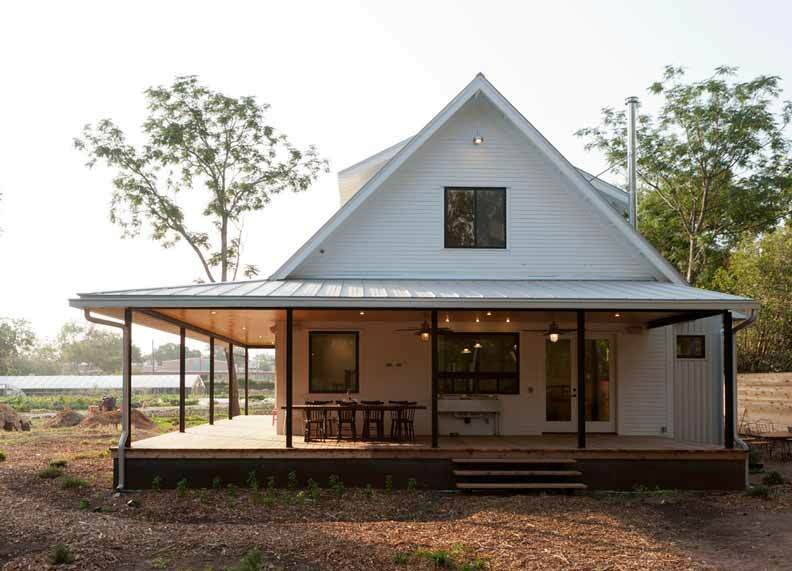 The contractors may or may not build this home on steel frames or use metal siding. Even though this a popular option nowadays – make sure to check if these options are available. Plans: not available to public, feel free to contact Rauser Design. 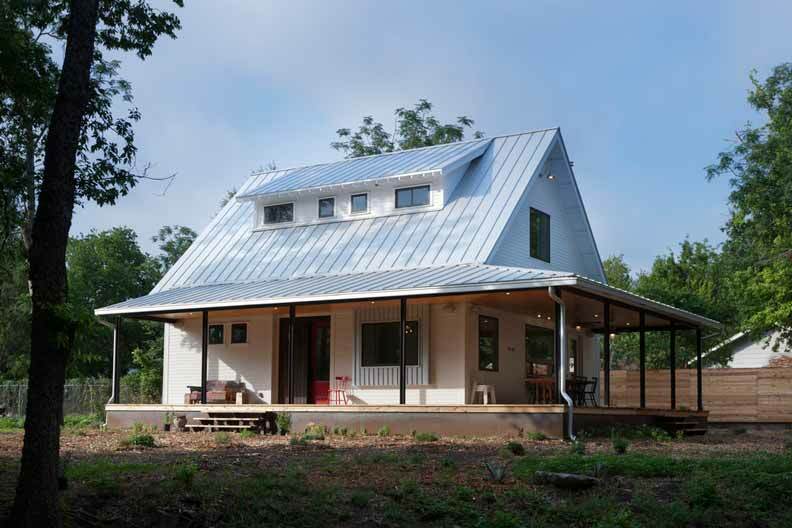 A silver roofed farmhouse with a porch covering two sides of the building. 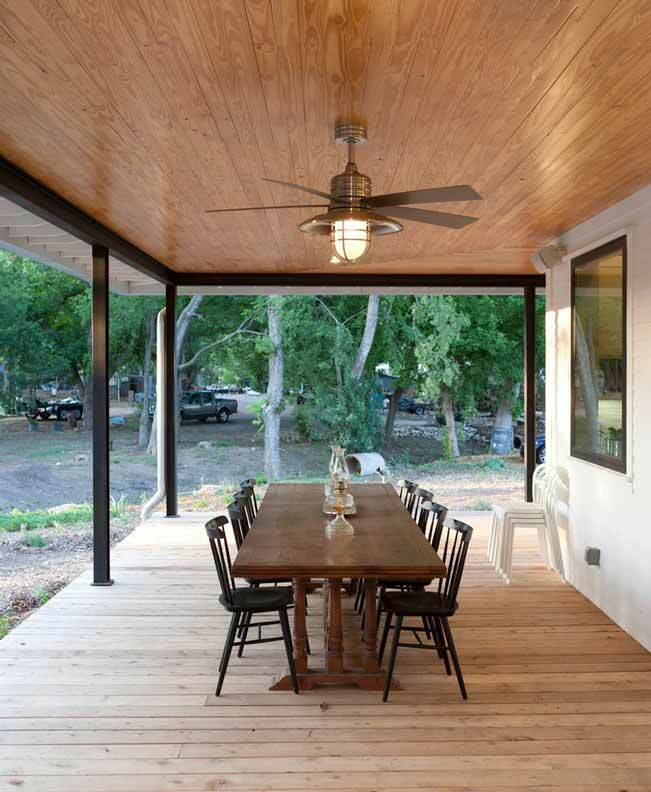 The porch in one side of the farmhouse has a dining area to cater to dining outside or barbecue parties. The back portion of the house. The dining table set located outside the house on the porch. One can enjoy eating meals outside while communing with nature. Beauty and function are not only limited outside of the house, it is also evident in the decors and furniture placements inside the home. 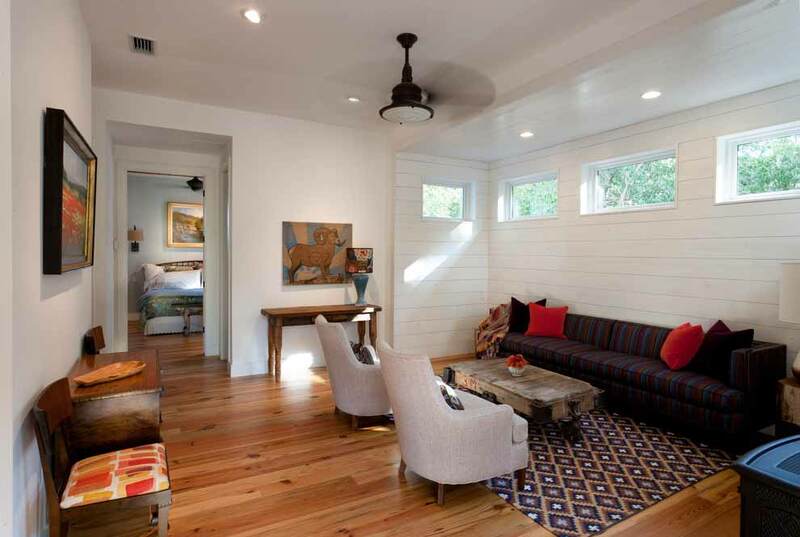 Living room area, where the windows let in the natural light. Bedroom located on the second floor of the farmhouse. Its huge glass windows frame the beauty of nature found outside. 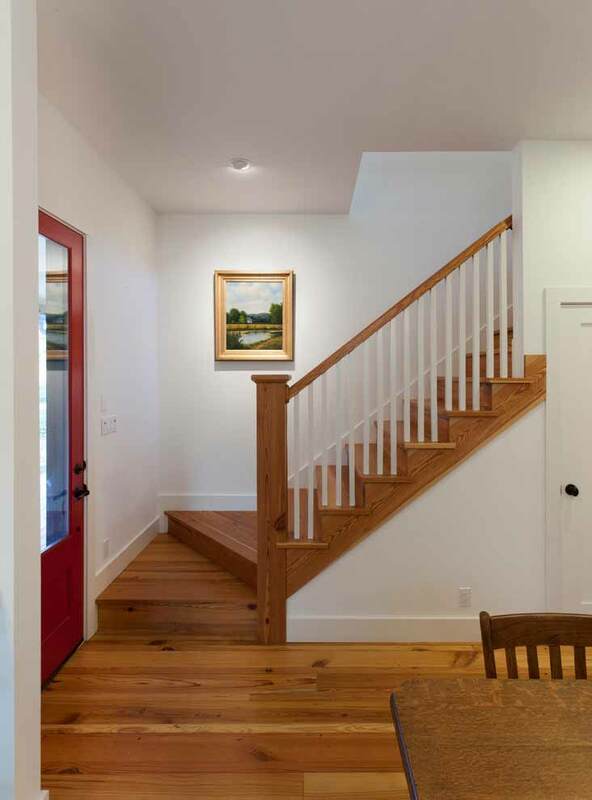 Wooden stairs, to the left of the front door, leads to the second floor. The door under the stairs may open to a storage area or the toilet.